NCSS is proud to open its Spring Seed Funding Event from March 21, 2019 through April 4, 2019 to grow dollars that provide leadership, service, and support for all social studies educators! Your tax-deductible contribution will plant the seeds to advocate and build capacity for high-quality social studies instruction and professional development. We invite you to consider investing in NCSS and the brightest future possible for our students and our educators! This Spring we also help celebrate the 50th anniversary of Tinker v. Des Moines. The landmark court case upheld students’ freedom of speech within school grounds. In the case of thirteen-year-old Mary Beth Tinker, it was the freedom to express herself in the symbolic act of wearing a black arm band (1965) to mourn the Vietnam dead. The 1969 Supreme Court hearing compared Tinker’s act to other students who had, in the past, worn political campaign buttons without school sanction. The “win” for social studies is the example this ruling sets. Even the youngest citizen of the U.S. has the civic privilege to make peaceful change through the judiciary process. 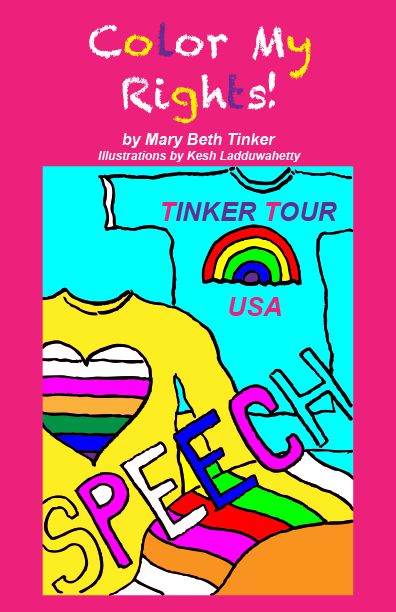 You may have heard Mary Beth Tinker speak in 2013 at the Annual Conference held in Saint Louis, or perhaps you read the Social Educationmagazine feature "Upholding Student Rights in the 20th Century: An Examination of Tinker v. Des Moines Independent Community School District" published in the March/April 2018 issue. If you missed it, read it now. We encourage you to share this fascinating case with your students! Donate your tax-deductible contribution by April 4, 2019 to receive your thank you gift from NCSS and Mary Beth Tinker! *All $100+ contributions are automatically entered to win a free professional learning webinar on Thursday, May 9, 2019 at 7:00 EDT with Mary Beth Tinker for you and your school!